This was a piece I did using three photos from my beautiful daughter Seren’s birth. She was born into her daddy’s hands, in the water, at home and it was the most incredible, amazing, beautiful, blissful experiences of my life! You can read all about it here. 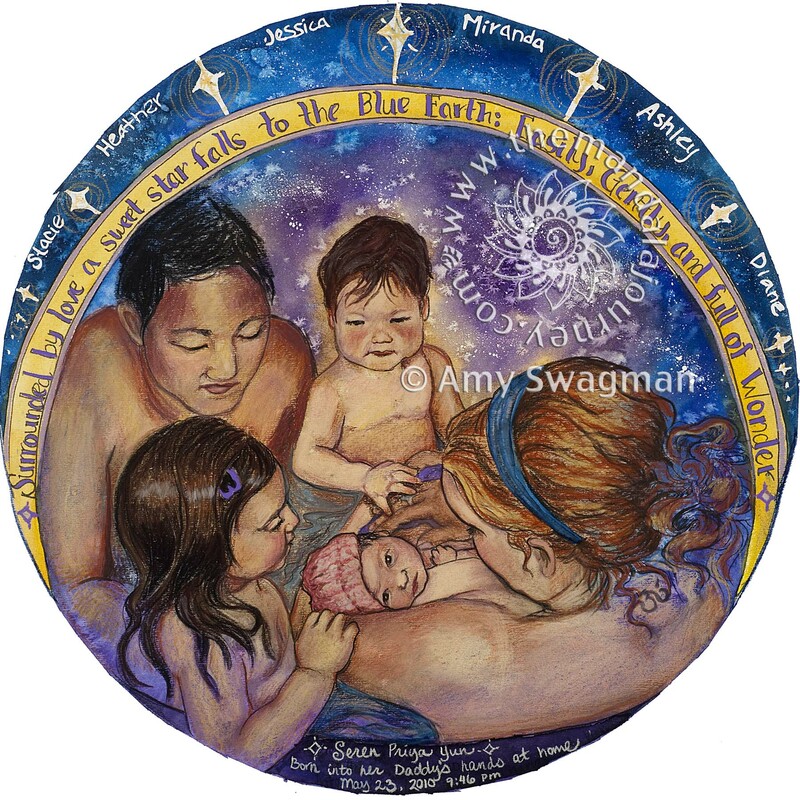 Around the outside are the names of my friends, midwives, and doula who helped me through. I couldn’t have done it without them! That is absolutely beautiful!!! I also want to comment on your personal pic…it is such a big deal to involve the children as well! So great! One day, I aspire to have a home birth as well!